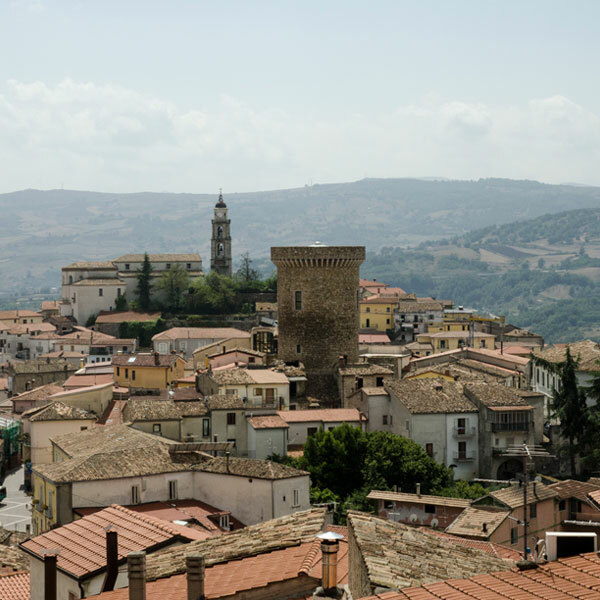 Our story begins in Picerno, amidst the hills and mountains of the Lucano Apennines. 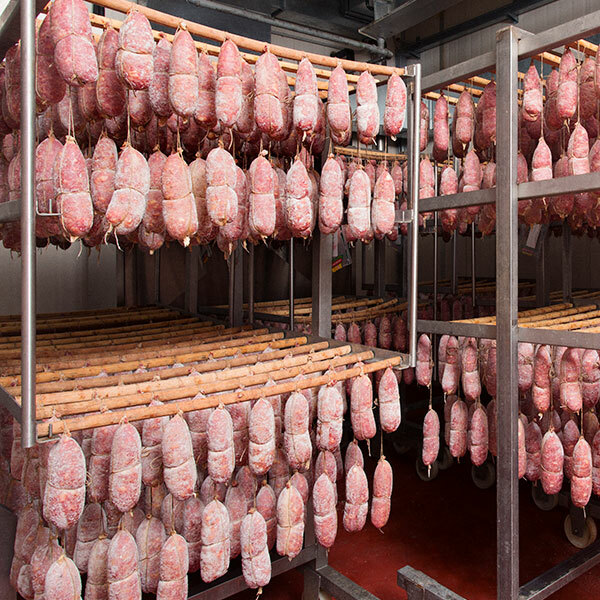 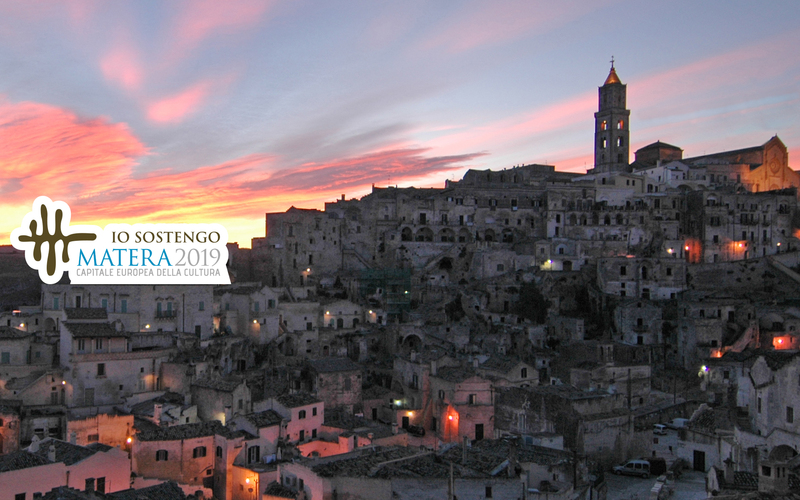 Towards the late 1960s, brothers Ottavio and Rocco Lettieri make an ancient tradition a reason for developing and expanding knowledge of the territory, making the little town of Picerno into a regional hub for the processing of pork meats. 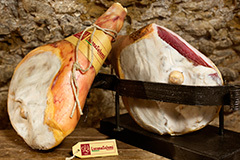 Ottavio, soon the real star, manages to optimise a local tradition, thereby bringing the “ancient flavour of quality” to the table. 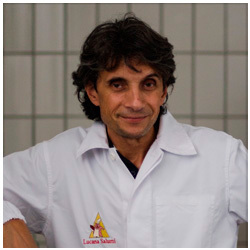 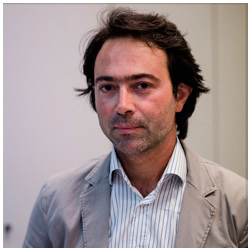 The key to Ottavio’s success lies in the human capital, by conveying his passion, he specialised them, sensitising them to a careful production process in complete respect of the ancient traditions. 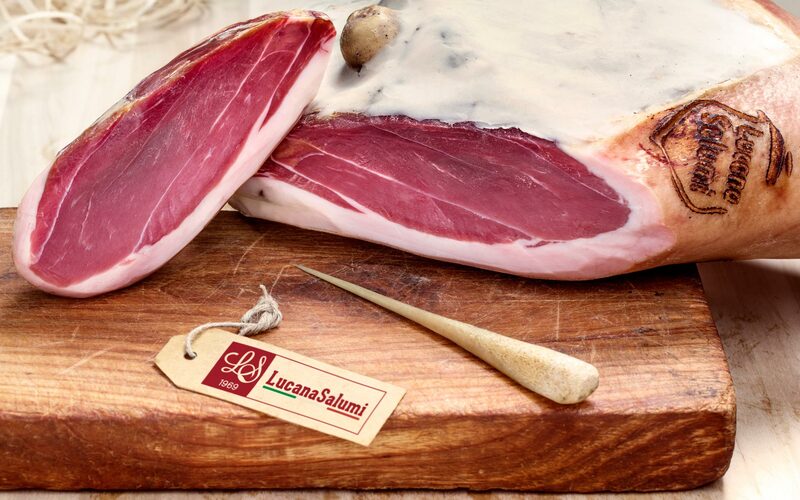 These values will remain an essential asset of the company, making the LUCANA SALUMI trademark synonymous of genuine quality, tradition and a bond with the territory. 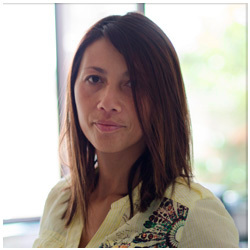 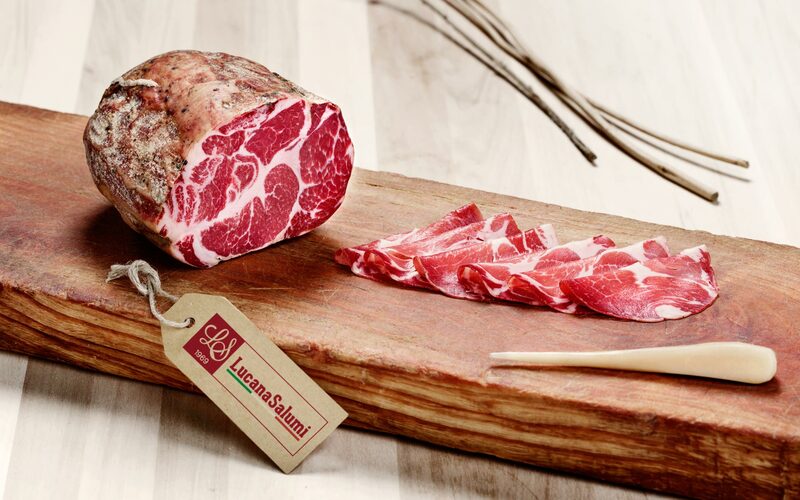 Today, the second generation has taken up the reins; Giovanni, Filomena and her husband Lorenzo continue the challenge launched by Ottavio, to keep true to the genuine nature of the product as production volumes gradually increased. 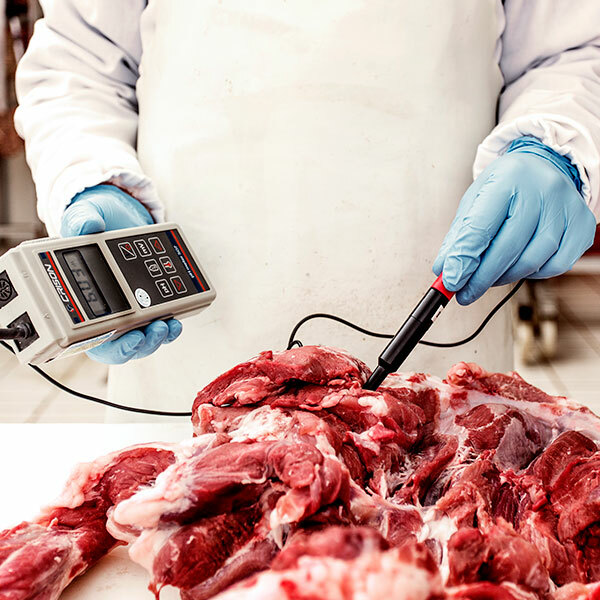 New technologies assuring excellent quality combine tradition and research with a careful focus on the health challenges posed by the industry. 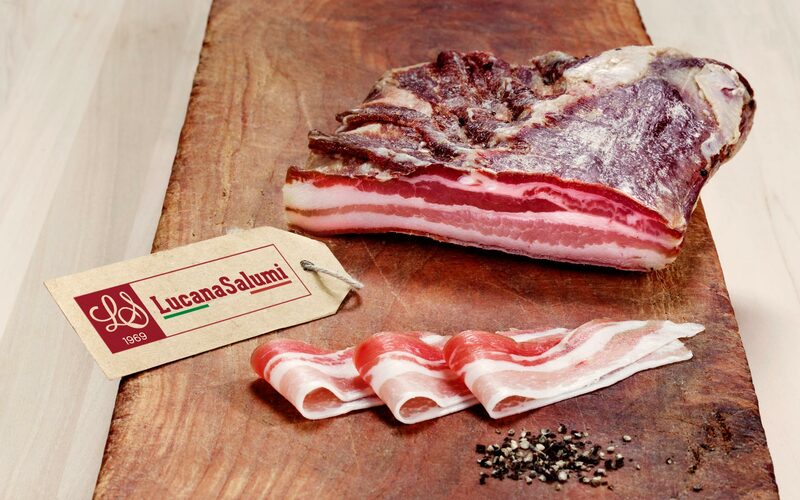 Using only extremely high quality, carefullyselected fresh Italian meats, LUCANA SALUMI brand products guarantee the ancient flavour of tradition with the safety and genuine nature of a product that contains no gluten, no milk or milk derivatives and which uses iodised salt. 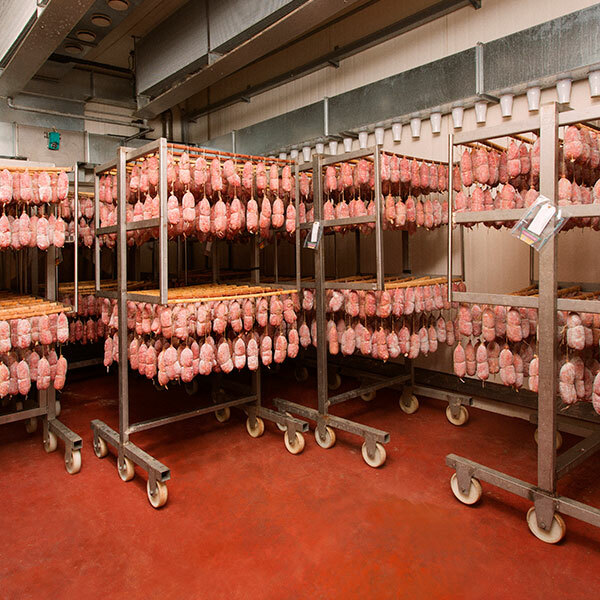 Our brand has always been concerned about the well-being of its consumers. 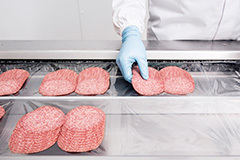 Careful attention is paid to the increasing problems connected with food intolerances. 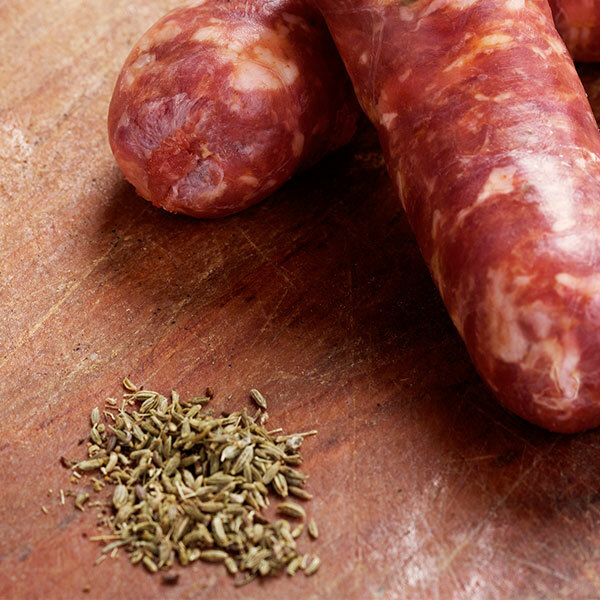 This is why, whilst continuing to respect traditional recipes, we have eliminated or replaced ingredients that are potentially allergy-causing. 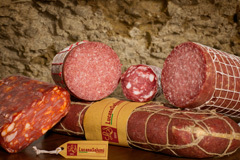 Today, none of our cured meats contain gluten or lactose and almost all are free from milk protein. 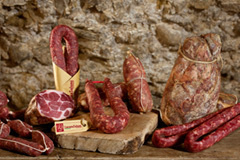 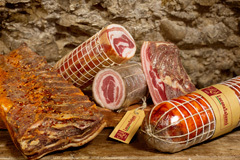 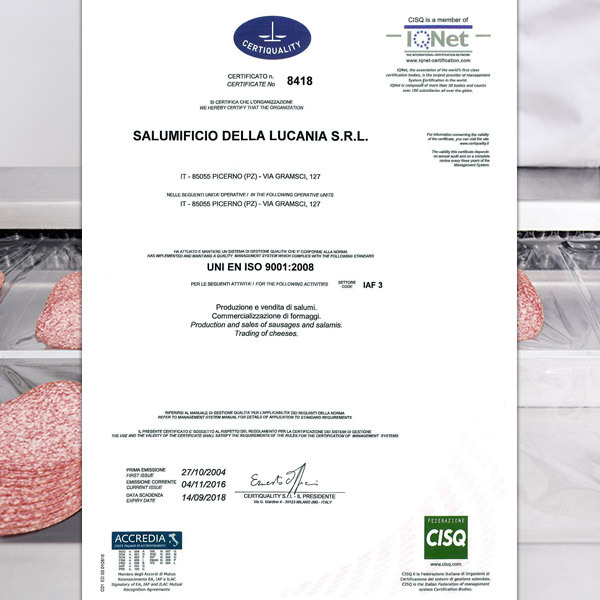 Healthy, genuine cured meats; since 2011, SALUMIFICIO DELLA LUCANIA has been included on the approved list drawn up by the Associazione Italiana Celiachia (Italian Society for the Coeliac Disease). 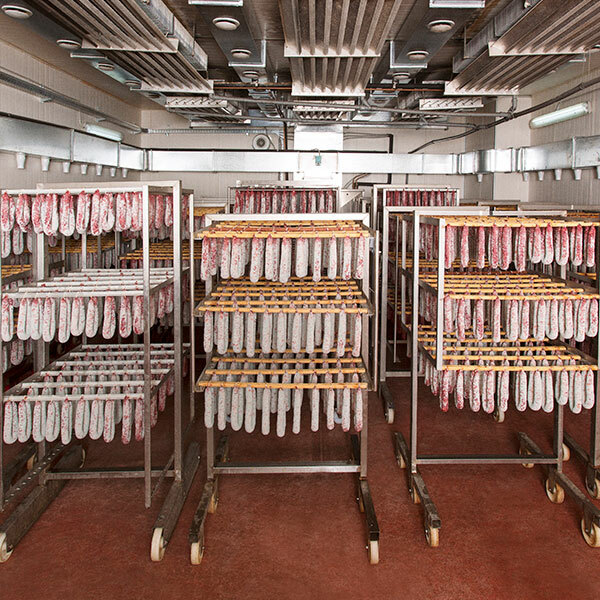 We adhere to the sensitisation campaign run by the Ministry of Health, using only iodised salt in the production of our cured meats. 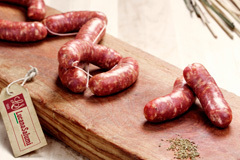 In 2014, we made the choice to flank the classic line of our products with a “bio” (organic) option. 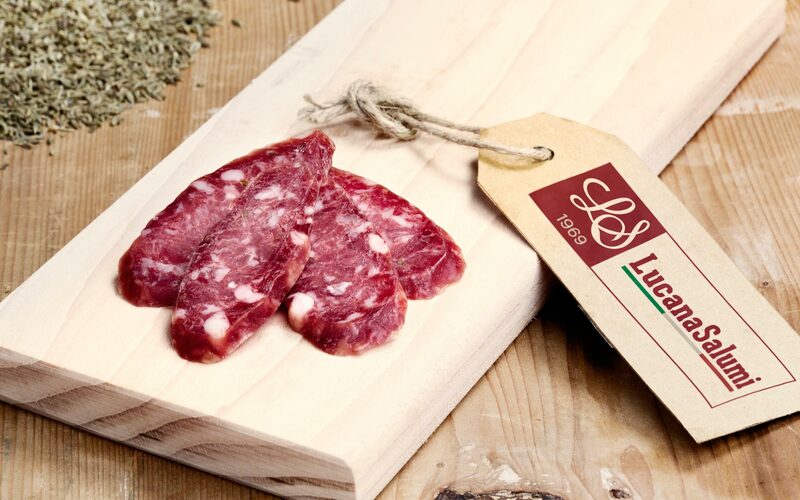 Our BIO LINE offers a range of products that guarantees the well-being of, and quality enjoyed by our consumers who are particularly sensitive to naturalistic trends. 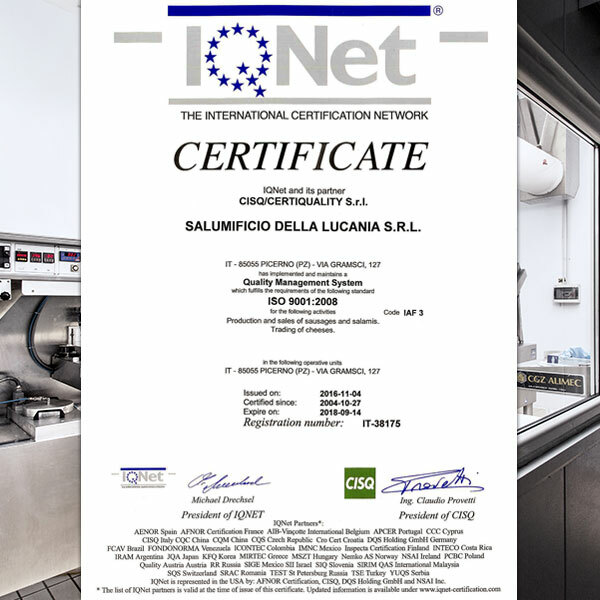 • spices only obtained from organic farming. 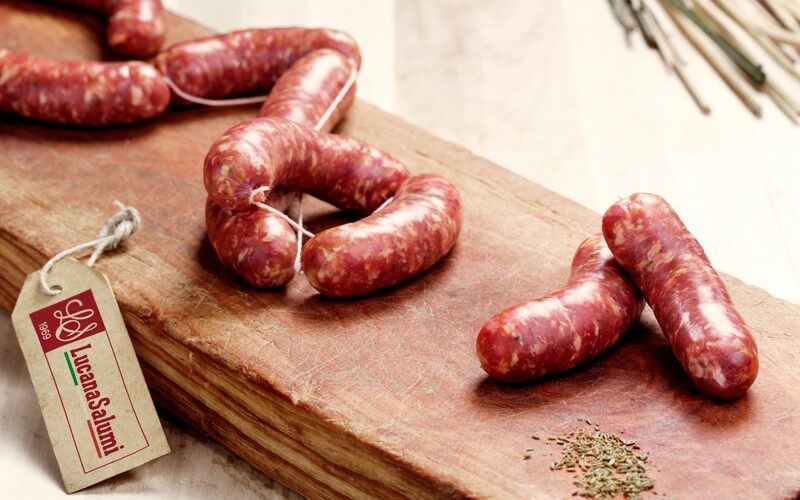 The result is a high quality product with a limited fat content, no colourings and flavoured only using iodised sea salt – in reduced quantities – and GMO FREE. 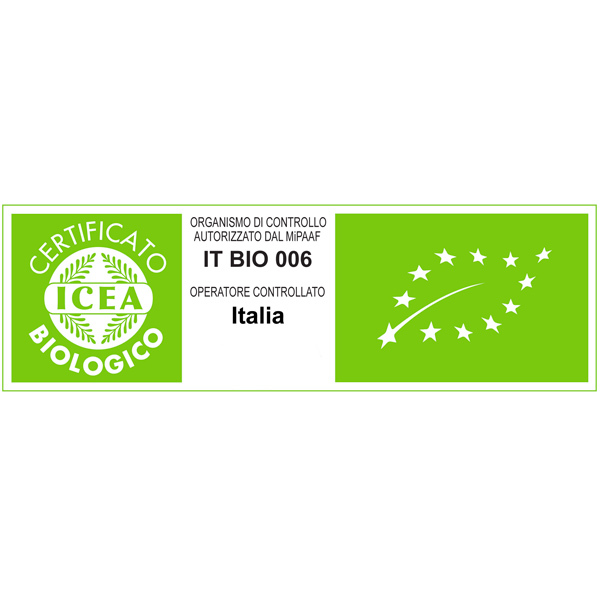 The products of the BIO line are also free from potential allergens such as gluten, lactose and milkprotein. 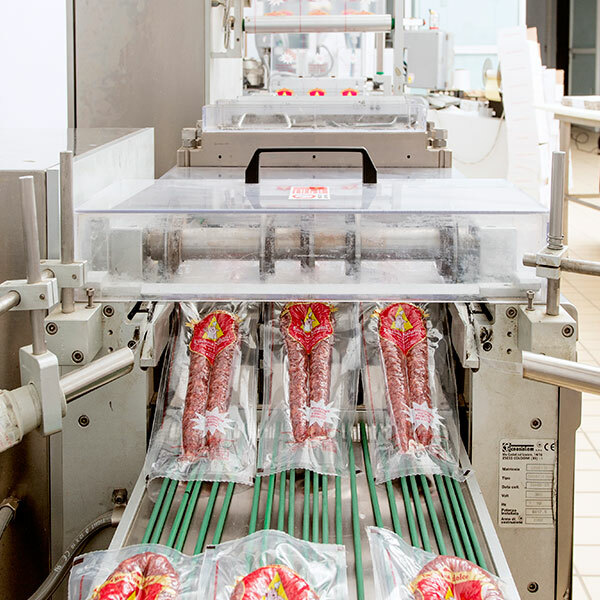 The company applies a self-control system that regulates and guarantees safety and healthhygiene controls of products, the environment and staff. 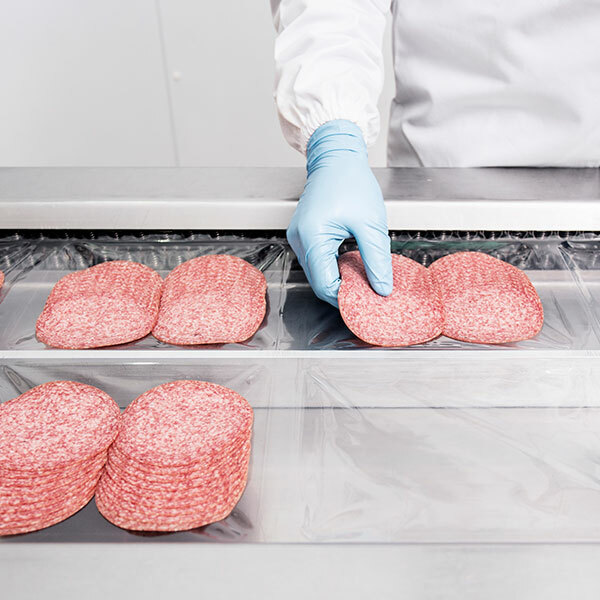 Each and every stage of the production process is controlled constantly using advanced systems, thereby assuring scrupulous product traceability, above and beyond the requirements of current legislation. 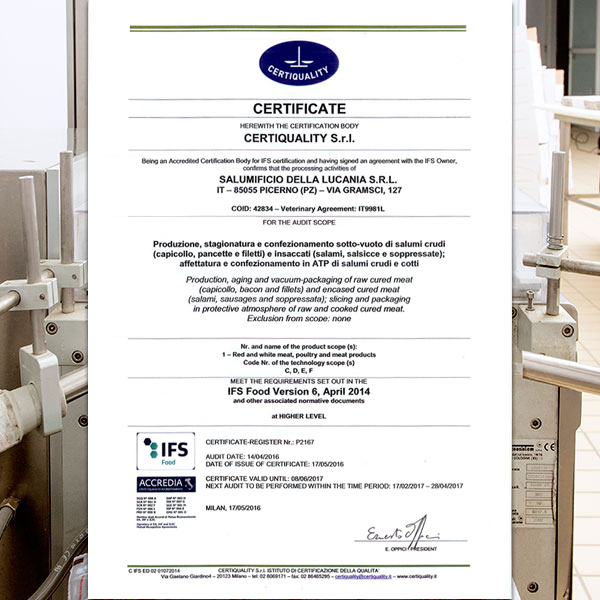 The plant is quality certified in compliance with UNI EN ISO 9001:2008 standards and the prestigious international certificates BRC (Global Standard for Food Safety) and IFS (International Food Standard). 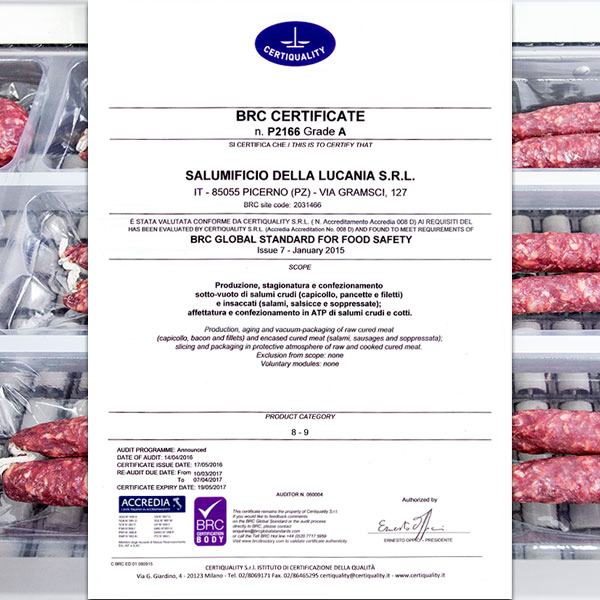 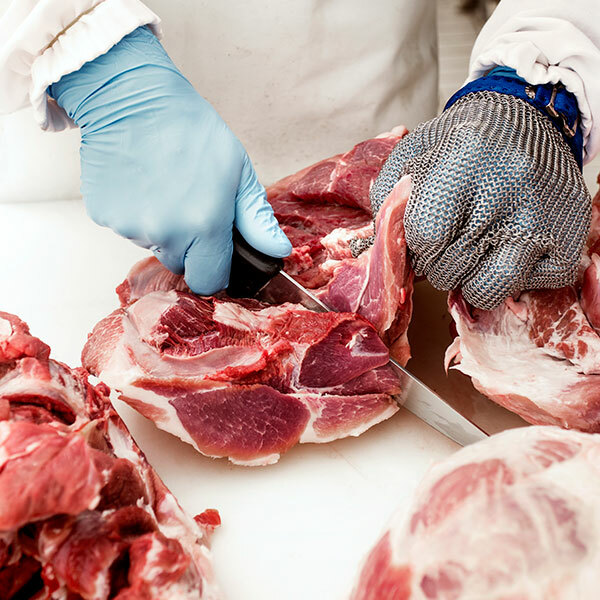 The company first equipped itself with a packaging system for its cured meats back in 2008, aimed at ensuring the greatest possible guarantees in terms of quality, hygiene and safety. 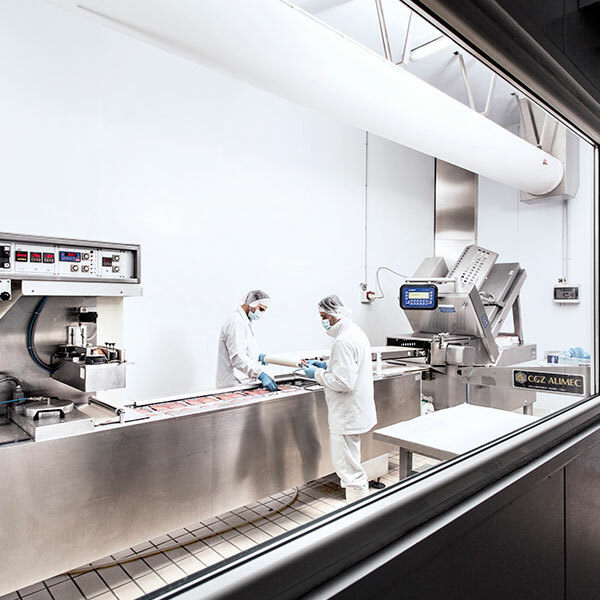 The clean room is a room that is isolated from all those around it, with its very own air treatment system. 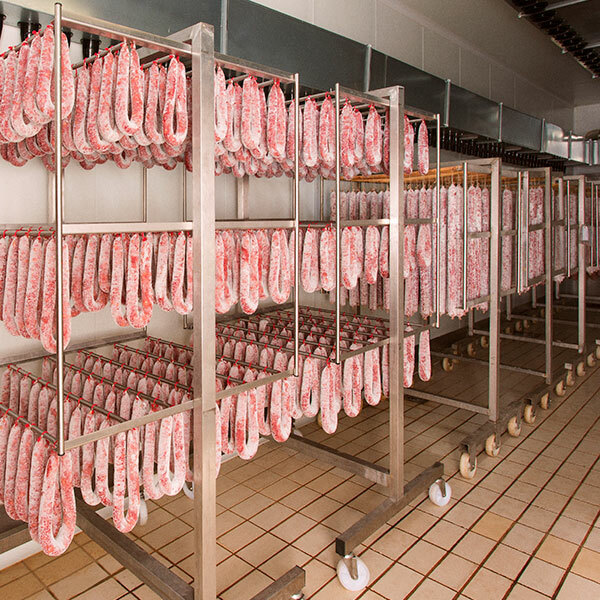 This prevents any entrance by dust or micro-organisms from outside, ensuring that the quality characteristics typical of the fresh product are fully maintained. 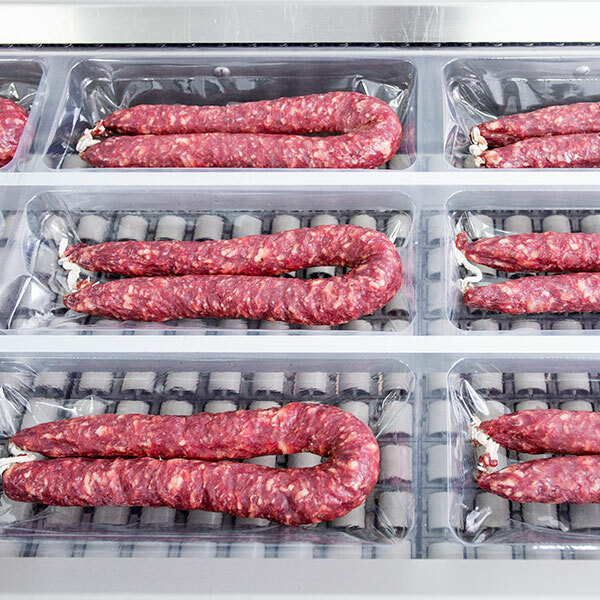 This structure provides added value for the product as in addition to guaranteeing its safety and freshness, it also enhances its visual appeal.